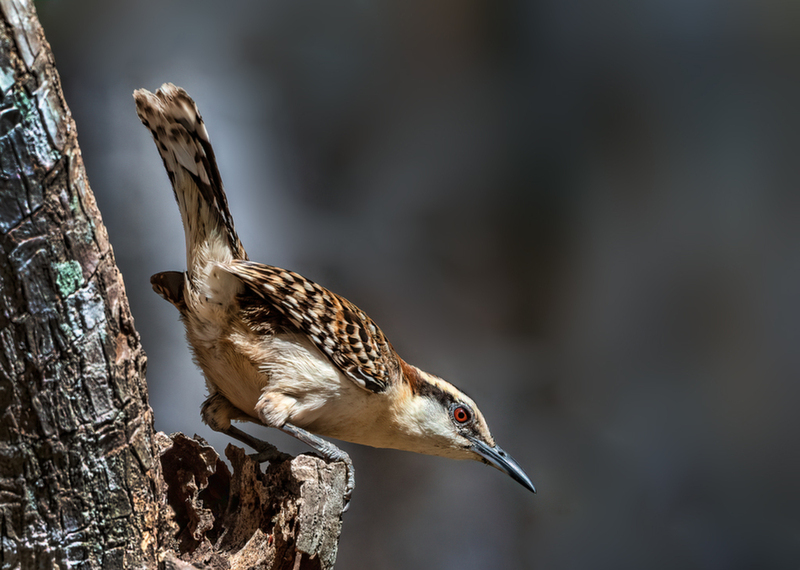 Rufous naped Wren in habitat. Taken from a moving boat midafternoon. A super sharp wren. They don’t need color to be attractive. Sharp tip to tail and nice HA..
Maybe a tad off the right? Impressive sharpness and detail considering the image was taken from a moving boat. Very nice! I love the dark BG and the light and sharpness is superb. Love the pose and the eye. Exposure is spot on. What Karl said - nicely done. Classic wren with tail up, and beautifully captured with tack sharp detail! Superb shot.